We will be your guide taking you on an incredible journey through the constellations and along the Milky Way, while also showing you how to find all sorts of heavenly objects for yourself. 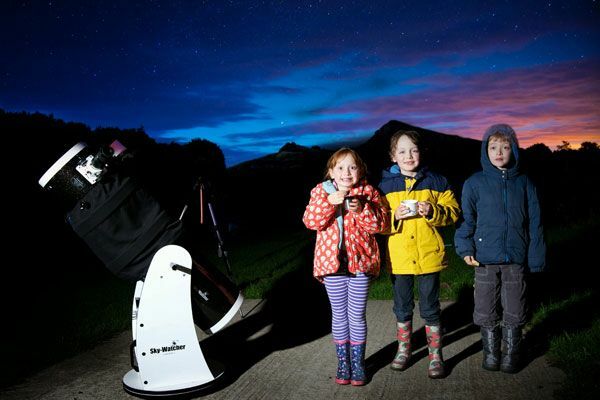 There will be powerful telescopes for you to gaze through, all operated by Starmaker amateur astronomers, who will attempt to answer your questions on life, the universe and everything! We'll tell you more about our Dark Sky Park and show startling images and videos of the objects we hope to see when we go outside, weather permitting. But even if the weather does not co-operate we'll still have colourful talks, videos and hands on help with telescopes, together with friendly advice on how to get started in this wonderful hobby. This event is suitable for adults and children aged over 8. Wrap up warm, bring binoculars, if you have them, and also a torch. To book please go onto https://www.eventbrite.co.uk/e/family-dark-sky-stargazing-at-kielder-castle-hosted-by-the-starmakers-team-tickets-14261874651?aff=eorg&team_reg_type=individual. Any queries please Contact Robert Ince - "Starmaker"